It can sometimes be incredibly frustrating to figure out which training method will best suit your dog’s needs and your wants. To make it more complex, the answer isn’t as easy as you might thing. One single training method is oftentimes not the best option for your furry friend; instead, combining more than one is where you will meet with success. We have compiled seven top training methods that can be combined to help train your companion. Quite possibly the most popular form of training today is focused around positive reinforcement. It is a simple method that requires the owner to quickly reward good behavior with something positive. If bad behaviors are being exhibited, no reward is given or the dog is ignored. Sometimes it is permissible to take away a toy or a treat if a negative behavior is present, but firm vocal or physical reprimands are not required. This kind of training seems to work with all kinds of dogs since their continual puppy-like behavior, even into adulthood, has them seeking positive stimuli such as food or toys almost constantly. When first starting the training, use simple commands such as “sit” or “down” or “paw” that can be quickly rewarded with a treat or a toy and positive praise. As the behavior becomes more consistent, you don’t always have to give the treat or toy and positive praise will be enough until you can almost eliminate it completely to reinforce a string of more complicated tricks or commands. It is, however, very important to always positively praise your dog for wanted behaviors. The good side of this training is that it builds your dog’s confidence, their knowledge of commands, and does not create a fearful dog. If you’ve ever watched dog agility on tv or at an event, most of the dogs are stringing together tricks simply by positive reinforcement. Sometimes trainers combine this method with the “Clicker Training” method (see number 2) to let the dog know exactly when the trick has been completed. The major downside to this is that, at the start, it is very easy to use treats or kibble as a reward. Your dog can quickly become overweight as, more often than not, dogs will prefer a treat over a toy or praise. Although you will see faster results with treats, try to steer clear of them and use a favorite toy or commendation over food. 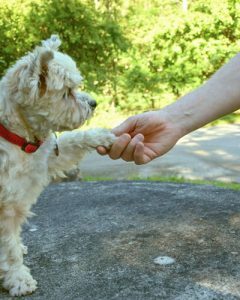 As mentioned in the “Positive Reinforcement” section, clicker training is a great way to immediately show your dog that it has completed the requested behavior. Remember, dogs don’t actually speak our language; they are just associating sound with a task or emotion. The clicker helps to bridge the language barrier by immediately proving to the dog that they did something correctly. The first step is to help your dog associate the clicker with something positive. Usually, clicking in conjunction with praise and a treat or favorite toy is enough to do this. Then, upon completion of this association, request the dog do a behavior and click the clicker as soon as the behavior is complete. Start off with simple tricks and use the clicker and the treats/toys, and then slowly remove the treats and toys until praise and the clicker is enough to show the dog that they performed successfully. Clicker training is highly regarded as one of the better training methods, and it will help to keep your dog slim and trim by eliminating the dependence on treats. It is easily used in combination with all other types of training, as well, which makes it very versatile. Unfortunately, it takes a lot of patience and time to build up these associations, and it also ties you to the clicker as a means of communicating to your dog. Using this in combination with other methods is best because relying solely on clicker training may accidentally send the wrong message if the dog(s) are doing an unwanted behavior but then quickly switch to a good behavior and they hear the click noise. An old mainstay, dominance training relies on the human to continuously assert themselves as the “top dog” in the family. Based on the thought process that dogs use a hierarchy to establish dominance, the alpha is considered the pack leader that all other members look up to. This particular type of training is a bit outdated, but can sometimes work in conjunction with other methods, especially if you have a stubborn dog. Basically, you want to put yourself inside the mentality of a pack leadership role. This means that the humans in the home will eat first, enter and exit doors first, move up or down stairs first, never allow the dogs to sleep in the same bed or up on the couch with them, or get down on eye level with their dogs. It sounds a bit harsh, but it establishes a pecking order that dogs can understand. One of the main benefits of training your dog to see you as dominant is that if a door is left open, they won’t bolt out of it, or they won’t take somebody out by rushing up the stairs. They don’t tend to jump on people, or dirty the furniture because they know that isn’t their space. The benefits do not outweigh the issues with this training, though. Dominance training usually instills fear into the dogs, and it doesn’t always work with kids or the elderly as the dogs will see them as easy targets to dominate. Although you should never let your dog be dominant over you, if you rely solely on alpha dog training, the dogs will see no way to increase their confidence or standing in the family except with dominant behaviors. Due to this mentality, it is a constant struggle to maintain dominance over the dogs in your pack and all members of the family must assert their superiority consistently. This controversial training method employs the use of collars that have the option to beep, vibrate, or electrically shock the dog being trained. Most of these collars come with a remote control that you can operate in order to change the mode and the level (e.g. how much vibration or shock). Similar to an electric fence, dogs quickly learn to avoid things that cause them discomfort, just like any of us! Although this is considered punishment, it can be paired with your voice to help give the dog(s) an association with consequences for unwanted behaviors. In addition, since the collars usually have a “beep” option you can use that as a warning to listen or, similar to clicker training, as a positive reinforcement connection to wanted behaviors. Be sure not to use the “beep” sound for both, though, as it can confuse the dog. 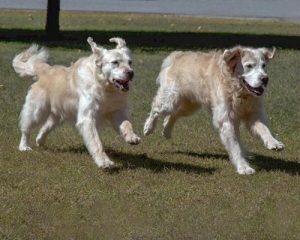 Many owners and trainers dislike the collars, but they can be used as great backups and for peace of mind if the owners are doing any off-leash training. Now that these e-collars come with several settings, the need to electrically shock the dog is minimized. 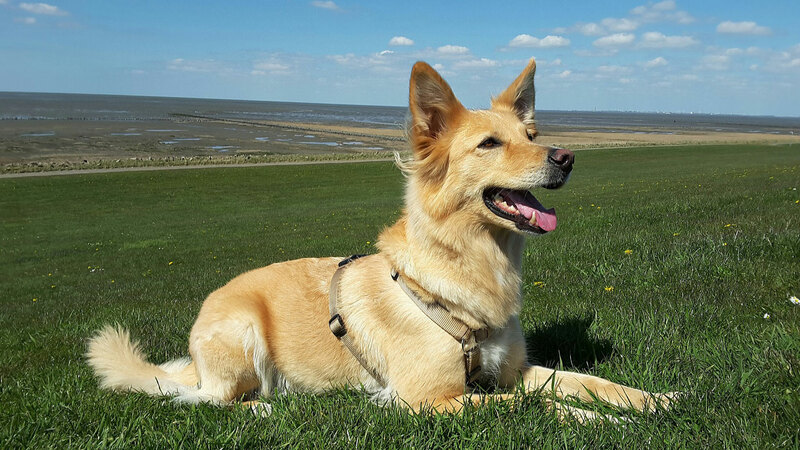 Usually, the vibration is more than enough when paired with a command to remind the dog to stay focused and perform a wanted behavior instead of an unwanted one. These are great in situations like dog parks where the dogs can become elevated very quickly and they are off leash in a large area. The downside, of course, is that electrically shocking your dog is painful. Although the settings can be changed so that it is a very low-level shock, it is still uncomfortable. Also, if used inappropriately it can develop fear in your dog. The remote control often takes some getting used to, as well, which can often lead to making a mistake and accidentally using a different mode than required. The trainer or owner must either request the help of another human or another well-trained dog for this kind of training. The human or dog will perform a behavior and get rewarded with praise, a toy, or a treat. The dog who is being trained will see that the other dog or human is getting positive reinforcement for a type of behavior and will mimic or mirror that behavior in order to get the same treatment. This relies heavily on positive reinforcement, but also helps to bridge the language gap between dogs and humans. Dog language is mostly based on body movement and posture, so showing a dog a correct behavior in conjunction with a command will help the dog to figure out what it needs to do. Personally, my own dog learned from an older dog in the household to mimic behaviors to be rewarded without me putting in much effort! However, there are some cons. You want to make sure that the dog that is being trained doesn’t rely solely on the other dog or human to know what behaviors are good and which are unwanted. Again, it is important to combine training practices with each other to develop confidence and individuality in your pup. Fetch, dog sports, tug-of-war, all of these games are great opportunities to reinforce and build a relationship and good behaviors in your canine companion. The more you play, the more your dog will understand what is appropriate and what is not based on whether the play continues or stops. For example, tug-of-war requires the dog to release the toy at certain points and can easily go into a fetch game. These opportunities allow for the trainer or owner to demand a “drop” or “leave it” command that is reinforced by tossing the toy back to the dog after it successfully completes the behavior, a treat, or a new round of fetch. 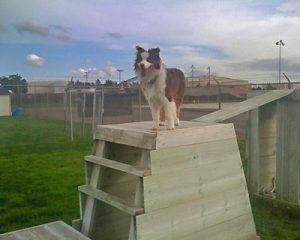 Dog sports help to develop confidence and stringing together a multitude of commands in one go. Mentally stimulating, relationship building, and focused around positive reinforcement are all pros for playing games with your dogs. It can also help to push your dog’s abilities further if you feel you’ve hit a stalemate with training. The main downside is that you normally can’t start playing games immediately, as certain commands are necessary to be learned to build up to the games safely. You don’t want to start playing tug-of-war if the dog is mouthy or doesn’t know how to bite down appropriately or is toy possessive. Build up to this kind of training gradually. We’ve left relationship and respect training for last because it incorporates all of the above dog training methods into one. It is about understanding what is best for your dog, what is best for you, and fully acknowledging your dog’s motivations, focus, and body language. We domesticated dogs because we saw a use for them, a symbiotic relationship that could develop over time and necessity. Keeping this concept in mind, we want to strive to build unique relationships with each dog we train and own. Each dog will be different since some will be more food motivated versus praise motivated, or some will be more eager to please while others will prefer to just be couch potatoes, and some may be more interested in other animals or people while their litter mate is more intrigued by finding the squeaker in the toy. Getting to know your pooch is number one, using their strengths to be mutually beneficial, and building positive reinforcement along with negative associations is the key to success. The benefit of this training is that it is catered to the needs of each pet and fosters a respect building relationship between yourself and them. A healthy mix of positive reinforcement with negative reprimands if something gets out of hand or you feel it might intensify quickly establishes a working relationship that isn’t favorable to any one specific modality. There are very few cons to this combination training, but you must do your research on dog body language if you are unseasoned and take a lot of time to understand the wants and needs of your particular dog.